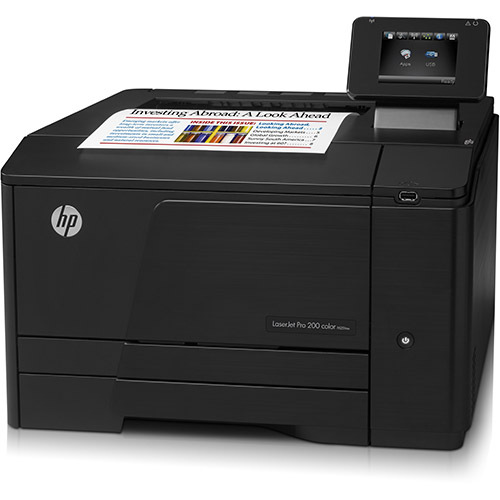 Take advantage of our cheap HP Color LaserJet Pro 200 M251n toner prices and save big on your print supplies. 1ink.com offers remanufactured toner cartridges that install easily into your compatible printer and produce the professional results you’re accustomed to getting from original equipment manufacturer (OEM) products. You’ll get the same page yield that OEM cartridges offer as well: 2,400 pages from our black remanufactured HP 131X toner and up to 1,800 pages from each color remanufactured HP 131A toner cartridge, available in cyan, yellow, and magenta. We even offer a convenient four-pack that bundles together everything you’ll need to produce quality work without interrupting your workflow. 1ink.com’s remanufactured toner cartridges will help you get the results your business needs at a low price. You’ll save over 45% off the OEM retail price while getting professional-quality work from this premium toner. These remanufactured HP toner cartridges are easy to install and they’re guaranteed to meet your needs and produce satisfactory work or we’ll refund the purchase price. Enjoy our large selection of high-quality cartridges and get the quality you need for less!